Spinoff from the fabulous Vampire Academy series!! Olivia: If you’re a V.A fan , then you should definitely read the spinoff series Bloodlines by Meade. A lot of character crossover & just as addicting! Ohhhhh the wonderful ecstasy of reading another book in the Vampire Academy series (and absorbing all the Dimitri I possibly could) mixed in equal portions with the heartache of knowing, once this book is over, it’s over. I AM ADDICTED. BUT! I’m only 45% through. Yup…I got a late start last night (stupid responsibilities!) , and now I’m suffering cause I’m back at work with an “itch” that can’t be relieved until 6pm! 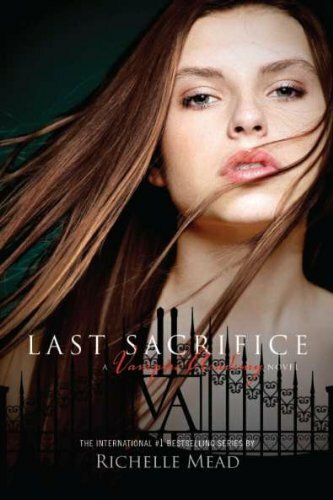 Richelle Mead’s Last Sacrifice – Sneak Peek!